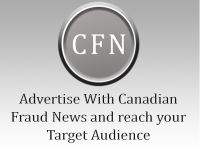 April 25, 2018 (Courtesy of nationalpost.com) – Two pharmacists in southern Alberta have pleaded guilty to taking secret commissions valued at more than $300,000. Evan King and Kathryn Kaiser were each given an 18-month conditional sentence when they appeared in provincial court in Medicine Hat on Monday. The sentence includes house arrest for the first six months followed by a curfew. King and Kaiser, who were co-managers at a Co-op pharmacy in Medicine Hat, were to go to trial on charges of fraud and theft over $5,000 before. An agreed statements of facts says the pair accepted incentives from multiple pharmaceutical companies — as is common in the industry for pharmacies that do business with a company. Under Co-op policy, incentives are the property of the store, but between 2010 and 2015, the two pharmacists accepted gift cards and paid travel without telling their employer. Judge Ted Fisher accepted joint submissions from the Crown and defence for the conditional sentence. King’s defence lawyer presented a cheque for $100,000 to the Co-op on Monday. The judge also ordered King to pay another almost $44,000 in restitution. Court heard Kaiser benefited in the amount of almost $178,000. She was ordered to pay back $200 a month for the first 15 months of her sentence. Fisher issued her a restitution order for the rest. King’s lawyer said his client has not gone back to work as a pharmacist and has returned to his family farm in Saskatchewan. Kaiser is still employed as a pharmacist and working full time, her lawyer said. The Alberta College of Pharmacists disciplined both pharmacists through temporary suspensions and financial penalties.